Software platform allows for counseling services via interactive TextChat messaging between therapists and individuals, couples and families seeking care. Aug. 21, 2013 – SAN FRANCISCO — Mosio, an award-winning mobile software company providing solutions in healthcare, clinical research, health services and other industries, announces its partnership with Ever Changing Minds. The company’s two-way text messaging platform, TextChat, will enable therapists to engage in interactive conversations to offer counseling to individuals, couples and families via their mobile phones. Utilizing the easy-to-use, web-based platform, Ever Changing Minds therapists can have dynamic, two-way conversations and address the needs of several clients simultaneously. TextChat with mobile users allows for ease of communications and availability of services, when and where they are needed, which can reduce barriers for those seeking help. The Mosio platform allows for low cost, efficient communications with mobile users. Some of the features include customizable auto-responders, canned response templates and an 800+ term “textspeak” translator for text messaging acronyms. Ever Changing Minds’ staff can respond to text messages or proactively send messages to individuals via one-to-one or subscriber alerts features. Mosio’s software is ideal for healthcare, clinical research, customer support, health services and workforce communications. 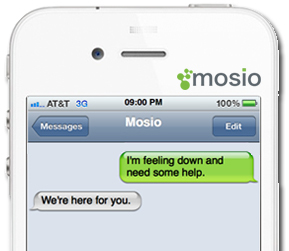 Learn more about Mosio’s two-way text messaging or sign up for a free, 14-day trial at www.mosio.com. With frequent headlines condemning texting due to everything from poor grammar to car accidents caused by texting while driving, texting may seem more like a curse than a blessing. If used where teens and young adults can most use the help, however, texting could actually save lives. 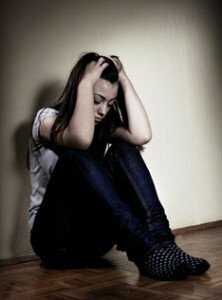 Suicide is the 3rd leading cause of death for youth ages 10-24, according to the CDC, resulting in the loss of about 4,600 young lives every year. Even more at risk are LGBT youth, who are 4 times more likely to attempt suicide than their straight peers due to bullying, harassment, abuse, and other victimization. The Pew Research Center reports that over 3 in 4 teens ages 12-17 have a cellphone and a sizable portion (25% ) access the internet mostly from their phone. This is especially important when considering that 71% of teens say the home computer they use most often is shared with other family members, offering them little privacy. A whopping 75% of all teens text, as another Pew study found, with older teens (ages 14-17) texting a median of 100 texts a day. Furthermore, only 14% use a landline to talk with friends. In recent years, instant messaging as a method of suicide prevention has taken root in an attempt to each more people who may be more comfortable with communication over the internet rather than over the phone. While hotlines and instant messaging are admirable efforts, they may be missing the mark on helping this critical age group. In northeastern Minnesota, several nonprofits and agencies have already had success with TXT4LIFE, the text-message option as part of their crisis hotline system. 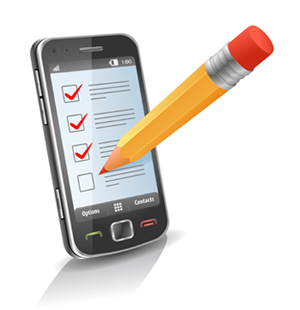 The text option is more popular, logging as much as 33 times as many text sessions as phone calls. In 2012 alone, TXT4LIFE aided 1,985 youth seeking help. Given that youth are especially susceptible to suicide and avid users of text messaging, using text messaging as a suicide prevention tool is not only a possibility but a necessity.